Now that the T-800 and T-1000 action figures from last week’s Terminator Giveaway have been time-warped into the hands of one lucky winner, we here at Hollywood Video are ready for a little contest sorcery. This time we’re honoring everyone’s favorite wand-wielding schoolboy wizard, Harry Potter! 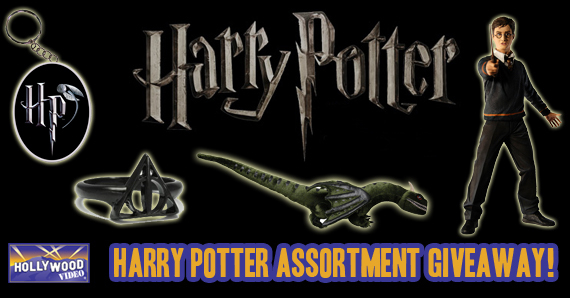 Keep reading to learn more about the assortment of Harry Potter film toys and accessories you can win! From the fifth Harry Potter film, Order of the Phoenix, comes this action figure of “The Boy Who Lived.” Before Harry’s fifth year at Hogwarts even begins, he battles Dementors and is tried before the entire Wizengamot. Although many students at Hogwarts do not believe his account of Lord Voldemort’s return, a steadfast few help Harry form Dumbledore’s Army and join the greatest battle yet. 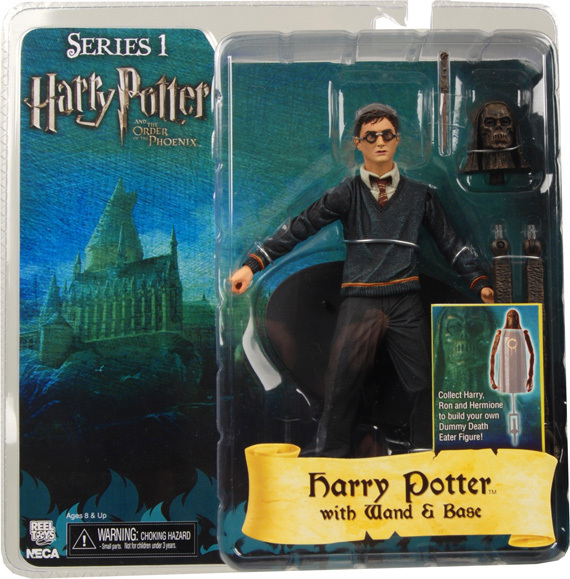 This 7″ scale action figure comes with Harry’s wand and display base. In Harry Potter and the Goblet of Fire, the very first challenge in the TriWizard Tournament is to defeat a deadly dragon… but there’s no reason to be afraid of our stuffed versions! We’ve reproduced the Welsh Green Dragon drawn by Beauxbatons champion Fleur Delacour as an adorable and cuddly plush that’s sure to steal your heart. Approximately 20″ long, and ferociously cute! 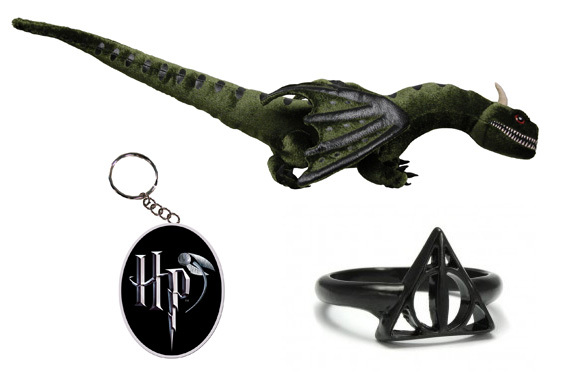 We’re also throwing in a keychain featuring Harry’s Quidditch snitch, and a ring with the Deathly Hallows symbol! This entry was posted in Giveaways, The HV Blog and tagged Action Figures, Harry Potter, harry potter deathly hallows by hvadmin. Bookmark the permalink.